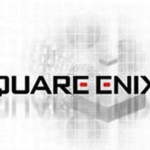 More PS4 Announcements Coming From Square It was quite a relief to see Star Ocean 5 revealed for the first time, tempering all worries that the JRPG was dead and that every game company in the Land of the Rising Sun was now focused on phone games. But there’s even better news: Star Ocean 5 won’t be alone. 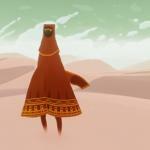 Journey journeys to Playstation 4 Few games in the Playstation 3 library are talked about as fondly as Journey, Thatgamecompany’s revolutionary open-world wandering saga. Upon its release in 2012, Journey became the fastest-selling title in the history of the Playstation Network marketplace. The game did so well that it achieved something few digital releases have the honor of getting: a physical release. It was packaged with Thatgamecompany’s other previous offbeat titles Flower (where you play as a flower) and FlOw and sold on disc in 2013. 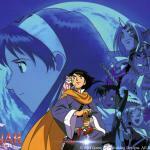 Survey Hints At Possible Lunar, Grandia Rereleases A video game publisher named GungHo Online Entertainment America put a survey up on its website yesterday asking its customers what they would be interested in the company releasing in the future. Capcom Announces Next Monster Hunter Already It seems like just yesterday that Monster Hunter 4 Ultimate and its limited-edition 3DS model both came out, yet here we are not even two months later and hearing about another one. Of course, Japan has had the previous game longer than we have. 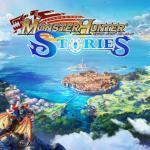 Monster Hunter Stories, however, looks somewhat different. Gone are the realistically rendered worlds and painterly-styled beasties; in their place is a new, cartoonish style reminiscent of some badly translated kiddie anime you’d see on Fox Box ten years ago. 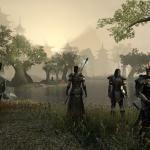 Elder Scrolls Online Beta For Consoles Coming Soon? Elder Scrolls has continued to prove that vast worlds to explore, plenty of customization, and hundreds of hours of content still please gamers to no end. For many an Elder Scrolls player, their eyes are now turned upon the upcoming Elder Scrolls Online for their next fix. 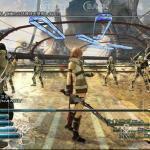 FFXIII Playable On Japanese Smartphones Yes, you read those roman numerals right, “13.” It wasn’t that long ago you needed high-end equipment to run such a graphics-heavy game. How does it work? The cloud, that’s how. A remote server does the heavy computing work and beams the results to any iOS or Android smartphone in Japan that holds the proper app. Above is a screenshot of the phone version of the game. It wasn’t difficult to convert the menu options to touch mode. 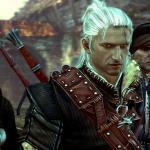 The Witcher 3: Wild Hunt Gets New Gameplay Trailer Easily one of the most anticipated games that is coming out in the next few months will be The Witcher 3: Wild Hunt. Admittedly, that is partially because the game has been delayed before, thus allowing more and more hype and anticipating to build up around it. 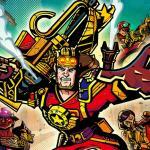 Patch Fixes Code Name STEAM’s Plodding Pace If you skipped Nintendo’s battle strategy game Code Name: STEAM last February because of the negative reviews, you might want to give it another shot. Nintendo has released an update for the title that removes one of the most commonly complained-about problems that reviewers cited: the length of the turns. 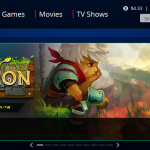 Bastion Now On PS4, Coming To Vita Bastion, the overhead action-RPG that won massive critical acclaim when it debuted in 2011, has now become playable on the Playstation 4 — at least in North America. It has yet to reach European markets, but in the States it’s now available for the price of $14.99 (or one buck cheaper with Playstation Plus). Supergiant’s creative director, Greg Kasavin, has written his thoughts on the development of Bastion and how the game has taken off in a new blog post on Playstation’s official blog. Nintendo Bringing Yokai Watch Worldwide Level 5’s Yokai Watch series of handheld video games has been extremely hot stuff in Japan, and given what a similar pattern it is to the way Pokemon blew up, you’d think a localization would have happened sooner than 2015. 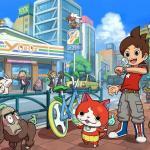 But Yokai Watch is also much more Japanese than anything else aimed at kids that’s found its way here — you have to know about more than power levels and kimonos to understand what’s going on. Presumably, it’s this reason that has turned off conglomerates from globalizing the brand.